At Mila, we strongly believe that diversity, inclusivity and equality in the workplace should be at the core of our values. This is in line with our goal of knowledge sharing for the common good, beyond borders and socio-economic boundaries. Our intention is not only to bring together people of different cultures, sexual orientation and gender identity, but also to develop a workforce that thinks and acts inclusively. This allows new ideas to emerge, hence reinforcing the success of Mila. Unfortunately, there is currently a dismal lack of representation of many groups within Mila and the greater AI research community. It is therefore very important to take immediate constructive action now. In order to create artificial intelligence that benefits everyone, all people should be given the same opportunity to enter the field of AI. At Mila, we are taking one small step to lower the immense barriers of entry faced by many, and address the alarming effects of homogeneity in the field (1). 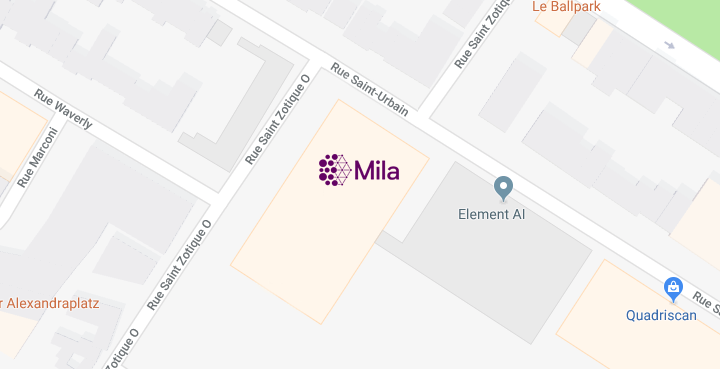 Mila is therefore proud to award scholarships aiming to promote equality and diversity within the scientific community in artificial intelligence. Students who are members of under-represented groups in our field of research and who apply to Mila are eligible for such scholarships. A yearly $100,000 fund has been set aside for these scholarships, which will be granted by taking into account need as well as merit. The scholarships can help our graduate students enrolled in research and professional programs, as well as visiting interns. They are also renewable for the duration of the studies or internships at Mila. In order to be considered for a scholarship, first make sure to apply to a Mila program (graduate study, internship etc…) through the website. After submitting your application, send an email to Linda Peinthière lpeinthiere.umontreal@gmail.com with the title “diversity scholarship application.” The body of your email should explain your particular situation and needs. If you have any other questions about this scholarship, do not hesitate to contact Linda ahead of time. The Forum on the Socially Responsible Development of Artificial Intelligence organized in the fall of 2017 ended with the unveiling of the Montreal Declaration for a Responsible Development of Artificial Intelligence. The public is now invited to contribute in a co-construction process involving all sectors of society. AI on a Social Mission was the first major conference on social impact of AI in Montreal. Start ups and NPOs explained how they use artificial intelligence for their social mission. They also shared their experience as a start up or non-profit with a social mission and their dreams for AI for Humanity. For more information please follow the conference’s website or watch this video. Carrying on the success of the AI for Social Good Summer Lab held by the McGill University Office of Innovation in 2017 – OSMO, McGill University & Mila will be running a 6-week 2018 Lab that teaches technical concepts in machine learning, in addition to digital product development, design and business development tactics applied all with the goal of solving a social problem. It is our belief that AI should drive innovation to address key societal challenges that impact the lives of millions of people.